Coal to pass iron ore as top Australian export (0) July 2, 2018 Coal is projected to emerge as Australia’s largest export earner, generating $58.1 billion for the 2018-19 financial year. Takeovers Panel clears Hancock bid for Atlas Iron (0) July 2, 2018 The Takeovers Panel will not take action following an application from a Fortescue Metals Group subsidiary to conduct proceedings into the takeover of Atlas Iron. Century mine revival now 95% complete (0) July 2, 2018 New Century Resources’ restart of operations at the Century zinc mine is on budget, on schedule and now around 95 per cent complete. Simulated mine site to promote engineering careers to students (0) July 2, 2018 Local students from Brisbane to Queensland’s far north west will experience mining careers first hand at Glencore’s Mount Isa Mine this week. 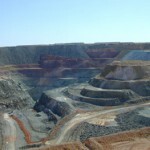 Honeymoon uranium mine restart takes shape (0) July 2, 2018 Boss Resources has launched a restart strategy for the Honeymoon uranium project in South Australia. Panoramic signs four-year Savannah project deal with Sino Nickel (0) July 2, 2018 Western Australian miner Panoramic Resources has signed a four-year concentrate sales agreement through subsidiary Savannah Nickel Mines with Sino Nickel over the Savannah nickel-copper-cobalt project. Thiess wins $480m contract at QCoal Northern Hub (0) July 2, 2018 Thiess has been awarded a $480 million contract by QCoal to continue operations at the QCoal Northern Hub in the Bowen Basin, Queensland. Australian Mining partners with the Women in Energy & Resources Leadership Summit (0) July 2, 2018 Speakers from BHP, Rio Tinto, Energy Queensland and other leading organisations will appear at the 8th Women in Energy & Resources Leadership Summit in Brisbane. Rio Tinto to replace Paraburdoo stackers in WA jobs boost (0) June 30, 2018 Rio Tinto will construct new stackers at Paraburdoo iron ore mine in the Pilbara in a jobs boost for Western Australia. BHP to pay $US211m for Samarco restoration (0) June 29, 2018 BHP will commit $US211 million in financial support to the non-profit body set up for the purposes of restoration and remediation of the 2015 Samarco mine dam collapse. 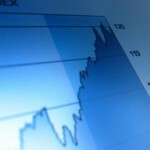 Atlas Iron urges shareholders to accept Hancock takeover offer (0) June 29, 2018 Atlas Iron’s board has unanimously recommended shareholders accept Hancock Prospecting’s $390 million offer for the company in the absence of a superior offer. Lucapa recovers large 89ct diamond in Lesotho (0) June 29, 2018 Lucapa has recovered an 89.75ct yellow diamond from the Mothae project in Lesotho, southern Africa. Swick adds $80m of contract extensions as drill rig demand surges (0) June 29, 2018 Swick Mining Services has experienced increasing demand for its drill rigs, reflected by a pair of contract renewals that bolster its order book to $160 million. Third WA salt mining project signals revival (0) June 29, 2018 A new salt project has been announced for Karratha and Cape Preston, bringing Western Australia’s number of project developments to three. Barminco secures $95m QLD copper contract at Mt Colin (0) June 29, 2018 Barminco Holdings has been named by Round Oak Minerals as the preferred contractor for the Mt Colin underground copper mine in Queensland. Technological innovation needed to meet global copper demand (0) June 28, 2018 A new approach to boosting productivity at Australian copper mines is needed to keep up with rising global demand, according to U.S. technology expert Hal Stillman. AVZ Minerals drills record 341m intersection at Manono project (0) June 28, 2018 AVZ Minerals has achieved a record 341.62m intersection from the Manono lithium project in the Democratic Republic of Congo (DRC). Jobs go at Kalgoorlie Super Pit following rock fall (0) June 28, 2018 Kalgoorlie Consolidated Gold Mines (KCGM) has cut 36 positions at the Super Pit gold mine in Western Australia due to last month’s rock fall. Sandvik gives mining equipment a second productive lifetime (0) June 28, 2018 An equipment rebuild offers mining companies a solution to sustain reliability and productivity over the machine’s full engineered lifecycle. 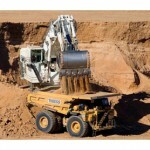 Australian Mining discusses these advantages with Sandvik. Rethinking what makes mining attractive as a career (0) June 28, 2018 A survey of young Australians has a trio of industry bodies now considering different approaches for how to make mining a career choice for young people. 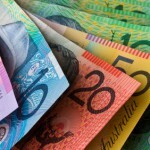 Image Resources’ Boonanarring project shoots up to $235m valuation (0) June 28, 2018 Image Resources’ Boonanarring mineral sands project north of Perth in Western Australia is now valued at $235m, a 19 per cent increase from its November’s $197m pre-tax valuation. 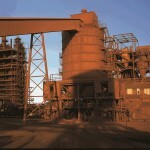 Rio Tinto Amrun bauxite project achieves $100m energy milestone (0) June 28, 2018 Rio Tinto’s Amrun bauxite project in far north Queensland has achieved a significant energy milestone, following the completion of upgrades to the project’s 20MW power station. Leading coal miners hope to join Aurizon review against QCA (0) June 27, 2018 Ten coal producers want to join the judicial review application filed by Aurizon against the Queensland Competition Authority (QCA) in the Supreme Court of Queensland. 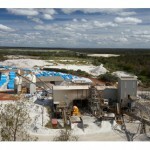 OZ Minerals takeover of Avanco becomes ‘compulsory’ (0) June 27, 2018 OZ Minerals will commence a compulsory takeover of Brazil-focused miner Avanco Resources after acceptances for the deal moved beyond 90 per cent. Australian Vanadium secures Win-Win offtake agreement (0) June 27, 2018 Australian Vanadium has signed a memorandum of understanding (MOU) with Chinese steel and alloy company Win-Win Development Group for vanadium offtake from Gabanintha, Western Australia. Fortescue takes aim at Hancock bid for Atlas Iron (0) June 27, 2018 Fortescue Metals Group has raised concerns about “misleading statements” in Hancock Prospecting’s bidder’s statement for its proposed $390 million acquisition of Atlas Iron. Downer uses augmented reality to track machinery (0) June 27, 2018 Downer has introduced FleetAR technology to track heavy mining equipment, trucks and light vehicles across eight of its locations in Australia. Heron Resources on track for 2019 production at Woodlawn (0) June 26, 2018 Heron Resources’ Woodlawn zinc-copper project, which is 250km southwest of Sydney, remains on track for the delivery of its first concentrate in early 2019. BHP, Vale settle Samarco dam disaster lawsuit (0) June 26, 2018 BHP, Vale and their joint-owned subsidiary Samarco have reached a compensatory agreement with the Brazilian Government over the 2015 Bento Rodrigues dam disaster. Greenbushes expansion quarrel heads to court (0) June 26, 2018 Global Advanced Metals (GAM) has announced that a Western Australia Supreme Court trial date of October 16-31 has been set for the company’s injunction action against Talison Lithium. Prime Creative Media launches new title: Safe to Work – Australian Mining (0) June 26, 2018 Prime Creative Media is launching Safe to Work – Australian Mining, a new print and digital offering to complement the market-leading Australian Mining platform. Fortescue’s seventh ore carrier arrives in Port Hedland (0) June 26, 2018 FMG Amanda, the second iron ore carrier to join Fortescue Metals Group’s fleet this year, has arrived in Port Hedland, Western Australia. Resources industry leaders prioritise wellbeing in the workplace (0) June 26, 2018 Wellbeing has been rated as the most important priority by the global energy and resources (E&R) industry in the latest Deloitte Human Capital Trends report. Orion Minerals announces $11m raising for Prieska zinc-copper project (0) June 26, 2018 Melbourne-based Orion Minerals has raised $11 million through a share placement to progress a feasibility study at the Prieska zinc-copper project in the Northern Cape, South Africa. Spitfire Materials to form new company with Excelsior Gold (0) June 25, 2018 Spitfire Materials is to acquire Excelsior Gold as part of merger plans that would create a new company with a resource of more than 2Moz. Independence plans Nova automation, battery metals development (0) June 25, 2018 Independence Group (IGO) is developing plans for an underground automation project at the Nova nickel-copper mine south of Kalgoorlie in Western Australia. MACA collects Western Australian contracts (0) June 25, 2018 MACA has picked up a trio of contracts or extensions at Western Australian projects. Artemis and Novo JV announce $5.4m conglomerate gold exploration (0) June 25, 2018 Artemis Resources and Novo Resources will be injecting $5.4 million into further exploration and a work programme at the Karratha joint venture gold project. Galaxy strengthens Mt Cattlin presence with acquisition (0) June 25, 2018 Galaxy Resources has added lithium tenements at Mt Cattlin in Western Australia through the acquisition of assets owned by Kingston Resources. Australian Mining partners with the Women in Energy & Resources Leadership Summit (0) June 25, 2018 Speakers from BHP, Rio Tinto, Energy Queensland and other leading organisations will appear at the 8th Women in Energy & Resources Leadership Summit in Brisbane. WorleyParsons wins Chevron contract extension (0) June 22, 2018 Chevron has awarded WorleyParsons a contract extension to provide services to support its Australasian strategic business unit. MACA and Beadell Resources terminate Tucano contract (0) June 22, 2018 Beadell Resources has ended its mining services contract with MACA at the Tucano open pit gold project in Brazil. 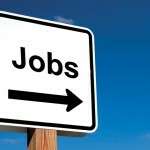 QLD resources sector creates new job every hour over a year (0) June 22, 2018 The Queensland resources sector has welcomed 8400 new jobs over the past 12 months, according to data from the Australian Bureau of Statistics (ABS), equivalent to one job every hour. Heron awards ore transport contract for Woodlawn zinc-copper project (0) June 21, 2018 Heron Resources has awarded the road and rail logistics services contract for its Woodlawn zinc-copper project in New South Wales to local supplier Crawfords Freightlines. Pilbara Minerals delivers first concentrate at Pilgangoora (0) June 21, 2018 Pilbara Minerals has produced first concentrate at the Pilgangoora lithium-tantalum project in Western Australia. 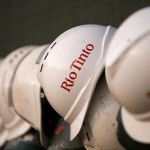 Rio Tinto receives infrastructure for completion of $2.6bn Amrun project (0) June 21, 2018 Rio Tinto has received vital infrastructure pieces fabricated in Western Australia for its $2.6 billion Amrun bauxite project on Cape York Peninsula, Queensland. Newcrest receives $US155m Cadia earthquake insurance settlement (0) June 21, 2018 Newcrest Mining has settled its insurance claim regarding damage sustained to its Cadia gold mine operation in New South Wales following an earthquake in April 2017. GFG Alliance explores potential of Havilah iron ore projects (0) June 21, 2018 GFG Alliance’s SIMEC Mining has agreed to determine the development and commercialisation potential of Havilah Resources’ Maldorky and Grants iron ore projects in South Australia. Metro Mining raises $17.5m for Bauxite Hills (0) June 21, 2018 Metro Mining’s equity raising effort has led to an oversubscribed institutional placement, increasing its initial equity raising ambitions of $15 million up to $17.5 million. NRW’s Golding wins $93m contract extension with Stanmore Coal at Isaac Plains (0) June 21, 2018 Golding Contractors will start production at Stanmore Coal’s Isaac Plains East mine in the Bowen Basin next month as part of a $93 million contract extension. Fortescue relocatable conveyor up and running at Cloudbreak (0) June 21, 2018 Fortescue Metals Group has launched operation of a relocatable conveyor system at the Cloudbreak iron ore mine in the Pilbara, Western Australia. Northern Star hits yearly 600,000oz gold production target (0) June 20, 2018 Northern Star Resources successfully hit its annual production target rate of 600,000oz, following a $80 million acquisition of the 1.2Mtpa South Kalgoorlie mill and $33 million expansion in March 2018. MOU signed between AngloGold Ashanti and Matsa Resources (0) June 20, 2018 AngloGold Ashanti Australia and Matsa Resources have signed a memorandum of understanding (MOU) to benefit the latter’s gold mining and exploration at the Lake Carey gold project in Western Australia. Titan Minerals wins shareholder approval for Andina takeover (0) June 20, 2018 Peru-focused Australian miner Titan Minerals has secured 90 per cent shareholding approval for its acquisition of Andina Resources, securing finality for a takeover bid first announced in March. The pros and cons of extending oil drain intervals in hydraulics (0) June 20, 2018 Over recent years there has been a growing trend within the mining industry to extend oil drainage intervals (ODI) beyond the original equipment manufacturer (OEM)-recommended service intervals. Improving management of gas monitoring equipment (0) June 20, 2018 Ampcontrol discusses its recommendations surrounding process, procedure and validation of gas monitoring equipment after concerns were raised in Queensland. WesTrac to launch Australia’s first Cat MD6250 drill (0) June 20, 2018 WesTrac will introduce the first Cat MD6250 rotary blasthole drill in Australia this week. Lepidico’s L-Max technology maximises mica’s lithium potential (0) June 19, 2018 Lepidico is making waves in the lithium industry with its L-Max technology, which can extract valuable battery-grade lithium chemicals from previously ignored mica sources. Epiroc cements Atlas Copco split with Nasdaq listing (0) June 19, 2018 Epiroc has started trading on Nasdaq Stockholm, marking its start as a fully independent company following its split from Atlas Copco. Australian Mining partners with the Women in Energy & Resources Leadership Summit (0) June 19, 2018 Speakers from BHP, Rio Tinto, Energy Queensland and other leading organisations will appear at the 8th Women in Energy & Resources Leadership Summit in Brisbane. Gina Rinehart ups ante with $390m Atlas Iron bid (0) June 18, 2018 Atlas Iron has received a $390 million off-market takeover bid from Redstone Corporation, a subsidiary of Gina Rinehart’s Hancock Prospecting. Altura to announce first lithium shipment ‘in coming weeks’ (0) June 18, 2018 Altura has announced that the first shipment from its 100 per cent-owned Altura lithium project in Pilgangoora, Western Australia, will be announced in the coming weeks. 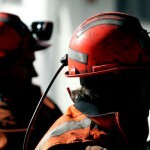 Mining safety showing global improvement (0) June 18, 2018 The amount of mining fatalities among 28 of the world’s 40 largest miners which disclosed their safety statistics has reduced by 37 per cent. OHS rules have gone ‘too far’: survey (0) June 18, 2018 More than half (53 per cent) of mining workers believed that OHS rules are “over the top”, a recent Mining People Polling and Media Centre survey showed. Roy Hill, Fortescue execute trapping trials in Pilbara (0) June 18, 2018 Roy Hill and Fortescue are working to improve operations and reduce environmental footprint by deploying one of the first national trials to protect threatened native species in the Pilbara region. Ausdrill names new MD/CEO (0) June 18, 2018 Mark Norwell has been appointed as Ausdrill’s next managing director and chief executive officer to replace Ron Sayers. South32 to acquire Arizona Mining for $US1.3bn (0) June 18, 2018 South32 is acquiring the 83 per cent it does not already own of US-focused Canadian zinc-lead-silver miner Arizona Mining for $US1.3 billion ($1.75 billion) via an all-cash offer. Atlas ships first lithium DSO from Pilbara Minerals’ Pilgangoora (0) June 18, 2018 The first shipment of direct shipping ore (DSO) from Pilbara Minerals’ Pilgangoora lithium-tantalum project in Western Australia has left Port Hedland bound for China. 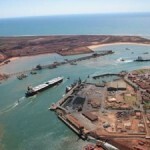 WA Government claims Atlas Iron has no port rights (0) June 15, 2018 Western Australian transport minister Rita Saffioti says Atlas Iron does not have a priority right to a potentially lucrative berth development at Port Hedland. BHP’s $4.5bn South Flank mine to create 3100 jobs (0) June 15, 2018 BHP will spend $US2.9 billion ($3.9 billion) to develop the South Flank iron ore project in the Pilbara, Western Australia. Mining exhibits strong female board representation (0) June 15, 2018 Fortescue Metals Group boasts 50 per cent female representation on their board, while major players BHP Billiton, Rio Tinto and OZ Minerals all seat multiple female board members. BHP scores mining win at Women in Industry 2018 (0) June 15, 2018 The 2018 Women in Industry Awards took place in Sydney last night in a celebration of female achievement across a host of industries, including traditionally male-dominated industries such as mining. 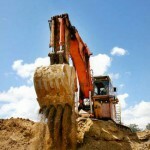 DDH1 buys Strike Drilling to bolster mining services (0) June 15, 2018 Deep directional drilling contractor DDH1 has acquired Strike Drilling to combine their complementary services for the mining industry. CPB Contractors wins $260m contract for BHP’s South Flank (0) June 15, 2018 Contracts are already being awarded for BHP’s South Flank iron ore project following today’s announcement the miner has approved development of the $4.5 billion mine in the Pilbara, Western Australia. Sandvik delivers innovation through DTH hammer RH560 (0) June 15, 2018 Sandvik has released its simplest and most productive DTH hammer model yet — RH560 down-the-hole hammer — designed for durable, low-cost, high-impact drills. Glencore accepts OZ Minerals’ Avanco offer, shares now stand at 73.9% (0) June 15, 2018 OZ Minerals this week reached acceptances in its bid for Brazilian copper-gold miner Avanco totalling 73.9 per cent of company shares. Nominate for the 15th Australian Mining Prospect Awards (0) June 14, 2018 The 2018 Australian Mining Prospect Awards is fast approaching, with nominations open to the industry. Incitec Pivot to apply latest tech at Fortescue contract win (0) June 14, 2018 Incitec Pivot business, Dyno Nobel, has been awarded an explosives products and services supply contract with Fortescue Metals Group in the Pilbara, Western Australia. Artemis begins drilling of super-deep 3300m hole in Pilbara (0) June 14, 2018 Artemis has begun drilling of a super-deep hole that at its full depth of 3300m will become the deepest diamond drill hole in Australia. CME WA appoints new chief executive officer (0) June 14, 2018 Paul Everingham will succeed Reg Howard-Smith, who has been serving as chief executive officer of The Chamber of Minerals and Energy of WA (CME) for 15 years. Surge in permanent roles signals mining recovery (0) June 14, 2018 Most regions across Australia have experienced an increase in permanent mining roles on jobs portal SEEK, suggesting renewed confidence in the sector following a five-year mining downturn. Pilbara Minerals on the cusp of production (0) June 13, 2018 Pilbara Minerals has started commissioning of the concentrator at the Pilgangoora lithium-tantalum project in the Pilbara, Western Australia. Global Geoscience raises $53m for Rhyolite Ridge lithium-boron project (0) June 13, 2018 Sydney-based Global Geoscience has raised $53 million in a placement to advance the company’s Rhyolite Ridge lithium-boron project in Nevada. RPM inks mining software distribution deal with Accenture (0) June 13, 2018 Mining technology provider RPMGlobal has entered a master software subscription licence and software agreement with Accenture subsidiary Proquire to provide RPM services via the subscription-based Accenture Connected Mine Suite. Resolute to fully automate underground gold mine with Sandvik system (0) June 13, 2018 Resolute Mining and Sandvik have established a strategic framework to fully automate the Syama underground gold mine in Mali, West Africa. Aussie analytics company secures $10m funding round for drone tech (0) June 13, 2018 Cloud-based analytics company Propeller Aero has received a major funding breakthrough, securing $10 million from investors for advancement and expansion of its drone-mapping analytics technology. MinRes comes to the rescue of Koolyanobbing (0) June 13, 2018 The Koolyanobbing iron ore operation in Western Australia’s Yilgarn region has found a saviour in Mineral Resources (MinRes). FIFO workers’ health and wellbeing under spotlight in Pilbara (0) June 13, 2018 Mental health and wellbeing of men living in remote Western Australian mining communities are being placed at the forefront in the Pilbara during Men’s Health Week. Rio Tinto appoints chief financial officer (0) June 12, 2018 Jakob Stausholm will succeed Chris Lynch as chief financial officer of Rio Tinto. Gold Industry Group launches second virtual discovery trail in Kalgoorlie (0) June 12, 2018 The Gold Industry Group unveiled its second virtual gold trail in Kalgoorlie, Western Australia last weekend. Nautilus Minerals secures $US34m for deep-sea mining in PNG (0) June 12, 2018 Nautilus Minerals has entered a $US34 million ($45 million) agreement with lender Deep Sea Mining Finance for deep sea mining development in Papua New Guinea. Immersive Technologies forms QLD safety collaboration with Simtars (0) June 12, 2018 Immersive Technologies has signed a memorandum of understanding (MoU) with Simtars to jointly develop training and workforce development solutions for the Queensland resources sector and international markets. Tawana and Alliance a step closer to $446m merger (0) June 12, 2018 Tawana Resources’ proposed merger with Alliance Mineral Mineral Assets, first announced in April, has been given the go ahead by the Australian Government. Stanmore to acquire Wotonga South from Peabody Energy (0) June 12, 2018 Stanmore Coal has agreed to buy the Wotonga South coking coal deposit in Queensland from Peabody Energy subsidiary, Millennium Coal, for $30 million. KableX delivers an alternative to mining’s cable sector (0) June 12, 2018 KableX, a new cable specialist, has been endorsed by AusProof to deliver an advancement in technology and a contemporary service approach. The gain and pain in extending oil drain intervals in hydraulic systems (0) June 11, 2018 Oil drain intervals (ODI) have generally been pre-determined by the Original Equipment Manufacturer (OEM) and designed as such to provide protection to compartments based on a wide variety of conditions. Bannerman raises $8m for Etango uranium development (0) June 8, 2018 Perth-based Bannerman Resources has raised $8 million in a heavily oversubscribed placement for development of its 95 per cent-owned Etango uranium project in Namibia. Tech opportunity to control rising maintenance costs (0) June 8, 2018 IFS Australia and New Zealand managing director Rob Stummer has commented on how new technologies and AI could help to control rising maintenance costs in the mining industry. 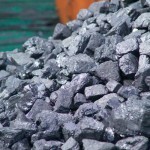 Thermal coal market showing ‘considerable strength’: TerraCom (0) June 8, 2018 Demand for Australian thermal coal has been strong in recent months, according to TerraCom. Rio ready to explore with China’s Minmetals (0) June 8, 2018 Rio Tinto has formalised a joint venture with Minmetals to explore for mineral deposits in China, and later globally. OZ Minerals nears finish line of Avanco takeover (0) June 8, 2018 OZ Minerals $418 million takeover bid for Brazil-focused Avanco Resources is a step closer to completion after OZ declared it unconditional. Caterpillar’s largest mining truck reaches milestone (0) June 8, 2018 Caterpillar has manufactured its 1000th 797 mining truck, 19 years after the first machine was commissioned. Fortescue acquires 15% of Atlas Iron in blow to MinRes takeover plans (0) June 7, 2018 Fortescue Metals Group (FMG) is to acquire a 15 per cent stake in Atlas Iron, in a blow to Mineral Resources’ $280 million takeover bid for the company. Clive Palmer targets $6bn of cobalt from Queensland tailings (0) June 7, 2018 Businessman Clive Palmer claims that tailings owned by his companies in Queensland contain cobalt worth $6 billion. Bawdwin mine revival on cards as Myanmar Metals raises $35m (0) June 7, 2018 Perth-based Myanmar Metals (previously Top End Minerals) has received binding commitments of $35 million from investors to take forward the revival of the Bawdwin lead-zinc mine in northeast Myanmar. Australian Potash keeps Lake Wells approvals on target (0) June 7, 2018 Australian Potash executive chairman Matt Shackleton says the company’s approvals process for the Lake Wells sulphate of potash project in the Eastern Goldfields, Western Australia “remains firmly on track”. Tasmanian iron ore mine approved, hundreds of jobs to come (0) June 7, 2018 Forward Mining has received approval to develop the Rogetta iron ore mine in north-western Tasmania. MinRes completes Kwinana graphite plant design (0) June 7, 2018 MinRes has finalised the first stage of concept design for its proposed graphite pilot plant at Kwinana in Western Australia. 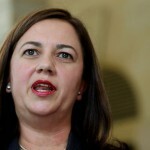 QLD Government dismisses report it will fund Adani infrastructure (0) June 7, 2018 The Queensland Government has reinforced that it will not provide funds to Adani for the development of the Carmichael coal mine and infrastructure. Thiess secures $160m extension at Curragh coal mine (0) June 7, 2018 Thiess has been awarded a $160 million contract extension by Coronado Coal to continue to provide mining services at the Curragh metallurgical coal mine in Queensland. Introducing the new Kingspan Commercial Modular BioDisc range (0) June 7, 2018 One of the world’s leading wastewater treatment plant ranges is now suitable for even more projects with the recent release of Kingspan’s new Modular Commercial BioDisc range. Neometals lithium refinery proposed for Kalgoorlie (0) June 6, 2018 Neometals has executed an option agreement and memorandum of understanding (MoU) with the City of Kalgoorlie-Boulder for development of a lithium hydroxide refinery near the Goldfields city in Western Australia. First Cobalt CEO affirms cobalt’s place in EV future (0) June 6, 2018 First Cobalt chief executive officer Trent Mell, in a letter to shareholders, has defended the metal’s continuing place as an important component in electric vehicle (EV) production. Tawana strengthens Bald Hill mine life (0) June 6, 2018 Tawana Resources and Alliance Mineral Assets, the joint venture owners of the Bald Hill mine, have boosted the reserve at the Western Australian lithium-tantalum operation. Millennium Minerals secures $17.5m for WA plant expansion (0) June 6, 2018 Perth-based Millennium Minerals has received a $17.5 million funding commitment from Investec Australia to expand the processing plant at its Nullagine gold project in Western Australia. Queensland Nickel approves plans to restart Yabulu Refinery (0) June 6, 2018 Clive Palmer’s QNI Resources is a step closer to reopening the Yabulu Nickel Refinery in Queensland. South32 considers Mexican joint venture (0) June 6, 2018 South32 has secured an option to form a 70/30 joint venture with Silver Bull Resources at the Sierra Mojada zinc-silver project in Mexico. Argosy produces first lithium batch from Rincon project (0) June 5, 2018 Argosy Minerals has reached a major project milestone by producing its first batch of lithium carbonate (LCE) from its Rincon lithium project in the province of Salta, Argentina. 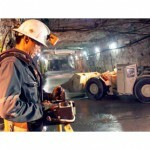 ‘Outstanding’ opportunities for mining sector, says gold report (0) June 5, 2018 The 12th In Gold We Trust report has been published, revealing some good news for the gold and silver mining sectors. QLD greenfield exploration a strong growth indicator: QRC (0) June 5, 2018 Queensland Resources Council (QRC) chief executive Ian Macfarlane has cited the state’s significant greenfield exploration investment as an “important indicator of confidence in the resources sector”. Streamlining project approvals and modernising workplaces (0) June 5, 2018 The Minerals Council of Australia (MCA) has claimed in a recent government submission that Australian mining reform has stalled, particularly in terms of streamlining project approvals and modernising workplace relations. Mining profits surge near boom-time levels (0) June 5, 2018 Top mining companies are reaching near boom time profits, with net profit up 126 per cent in the past year, a PwC report has found. Newmont and Hammer to end Mt Isa joint venture (0) June 4, 2018 Hammer Metals is to conclude its joint venture (JV) agreement with Newmont Exploration as the latter has decided not to continue exploration funding. CFMEU criticises inequality of New Hope mining offer (0) June 4, 2018 The Construction, Forestry, Maritime, Mining and Energy Union (CFMEU) has criticised an enterprise agreement by energy company New Hope Group at its West Moreton coal operations in Ipswich, Queensland. Bass Metals terminates Tasmanian asset sale with NQM (0) June 4, 2018 Bass Metals, known for its flagship Graphmada large flake graphite mine in Madagascar, has decided to terminate the planned sale of its Tasmanian tenements to London-based NQ Minerals (NQM). AVZ returns strong results from Manono lithium project (0) June 4, 2018 Assay results from AVZ Minerals’ Manono lithium project in the Democratic Republic of Congo (DRC) have returned result as high as 1.52 per cent lithium oxide at 284.47m. Australian METS target mining’s next horizon (0) June 4, 2018 The mining industry continues to experience improved market conditions as we move to the midway point of 2018. The creation of a new image for mining (0) June 4, 2018 Mining companies have focused on developing a more positive image for the industry in recent years, Deloitte’s Ian Sanders tells Australian Mining. Whitehaven completes acquisition of Winchester South from Rio Tinto (0) June 4, 2018 Rio Tinto has completed the sale of its 75 per cent stake in the Winchester South coal project in Queensland to Whitehaven Coal. Port of Newcastle coal expansion scrapped (0) June 1, 2018 An expansion of the Port of Newcastle in New South Wales, the world’s largest coal export facility, will not go ahead. Ancuabe graphite project receives approval (0) June 1, 2018 Triton Minerals has approved development of the Ancuabe graphite project in Mozambique. Santos delivers QLD jobs boost with $400m Arcadia approval (0) June 1, 2018 Santos, with its GLNG partners, plans to invest more than $400 million on the 137-well Arcadia gas project in Queensland’s Bowen Basin. Creating precision-engineered mining equipment with 3D printing (0) June 1, 2018 A new Australian research project hopes to revolutionise the manufacture of precision-engineered mineral separation and mining equipment. Several Mt Thirsty contracts awarded (0) May 31, 2018 Joint venture partners Barra Resources and Conico have awarded a series of contracts for the pre-feasibility study (PFS) at the Mt Thirsty cobalt-nickel-oxide project in Western Australia. Sino Gas & Energy receives $530m offer from US equity firm (0) May 31, 2018 US-based private equity firm Lone Star plans to acquire Sino Gas & Energy Holdings for $530 million, an offer backed by the ASX-listed target. Ausdrill employees safe following fatal security incident (0) May 31, 2018 Ausdrill has confirmed that employees from subsidiary, African Mining Services, are safe following a security incident at its contract with Hummingbird Resources at the Yanfolila gold operation in Mali. Diamonds to go: the lab-made alternative (0) May 31, 2018 Lab-grown diamonds are becoming an increasingly viable alternative to their mined counterparts. Copper’s growing green credentials (0) May 31, 2018 Emerging trends for “Green Copper” will feature in the opening session at next month’s Copper to the World Conference in Adelaide, June 26, a new addition to the program. BHP Billiton Mitsubishi Alliance to offload QLD coal mine for $100m (0) May 30, 2018 The BHP Billiton Mitsubishi Alliance (BMA) has agreed to sell the Gregory Crinum coking coal mine in Queensland to Japan’s Sojitz Corp for $100 million. Improving market for geoscientists suffers setback (0) May 30, 2018 The employment recovery for Australian geoscientists has taken a step backward in the opening quarter of 2018, according to the Australian Institute of Geoscientists (AIG). Emeco unleashes WesTrac IoT solution on rental equipment (0) May 30, 2018 Mining equipment rental company Emeco is bolstering its digital capabilities by rolling out an advanced Internet of Things (IoT) solution that will track and harvest data from its assets. Kalgoorlie Super Pit rock fall threatens jobs (0) May 30, 2018 KCGM has conceded that a rock fall at the Super Pit gold mine this month will affect its workforce. Top innovations to change mining [Infographic] (0) May 30, 2018 From the industrial revolution to today’s digital revolution – mining has been surprisingly creative when it comes to boosting safety and productivity, according to Volvo. First gold poured at Dalgaranga (0) May 30, 2018 Gascoyne Resources is Australia’s newest gold producer at the Dalgaranga project in the Murchison in Western Australia. New pathways for Mining Leaders Program (0) May 30, 2018 The University of Queensland has added to its innovative Mining Leaders Program (MLP), offering for the first time the opportunity to receive credit towards the Graduate Certificate in Executive Leadership. South32 to acquire stake in Eagle Downs coal project in QLD (0) May 29, 2018 South32 plans to acquire a 50 per cent interest in the Eagle Down metallurgical coal project in Queensland’s Bowen Basin from China BaoWu Steep Group (BaoWu). Symbol awards Macy mining services contract (0) May 29, 2018 Symbol Mining has awarded a contract to PW Group to undertake mining and crushing services at the Macy zinc-lead project in Nigeria. South32 adds fourth project to AusQuest alliance (0) May 29, 2018 South32 and AusQuest have decided on the Parcoy iron-oxide-copper-gold prospect in Peru as the fourth exploration project under their strategic alliance agreement (SAA). Pilbara Minerals strengthens case for Pilgangoora expansion (0) May 29, 2018 Lithium developer Pilbara Minerals has increased the mineral resource at its Pilgangoora lithium-tantalum project in the Pilbara just weeks from launching production at the operation. Waanyi Downer JV secures Century mine contract in ‘industry-first’ agreement (0) May 29, 2018 New Century Resources has awarded a historic mining services contract at the Century zinc mine in Queensland to the Waanyi Downer Joint Venture (WDJV). Galaxy makes US$280m lithium deal with POSCO (0) May 29, 2018 Lithium company Galaxy Resources has secured an agreement to sell a package of tenements at Sal de Vida in Argentina to Korea’s POSCO for $US280 million ($371 million). Resolute Mining increases African exposure with Orca investment (0) May 29, 2018 Gold miner Resolute Mining will acquire a 15 per cent stake in Orca Gold through a share placement, bolstering the ASX-listed company’s presence in Africa. Altura extends mine life at Pilbara lithium project (0) May 28, 2018 Lithium developer Altura Mining has added two years to the mine life at its Pilgangoora project in the Pilbara after delivering a revised ore reserve and mineral resource estimate. Rox targets improving nickel market (0) May 28, 2018 Rox Resources has been busy since winning Explorer of the Year at the 2015 Australian Mining Prospect Awards. Independence to sell Jaguar Operation for $73.2m (0) May 28, 2018 Independence Group (IGO) plans to offload the multi-commodity Jaguar Operation near Leonora in Western Australia to CopperChem for $73.2 million to increase focus on energy storage minerals. Fenner Dunlop goes beyond the belt (0) May 28, 2018 Fenner Dunlop has enjoyed a strong 18 months, buoyed by resurgent commodity prices — particularly coal and iron ore — following a period of industry-wide downturn. Fortescue approves $1.7 billion Eliwana development (0) May 28, 2018 Fortescue Metals Group has given development of the Eliwana iron ore mine and rail project in the Pilbara in Western Australia the green light. Sedgman wins five-year, $110m contract at Century zinc mine (0) May 28, 2018 New Century Resources has strengthened a mining services relationship with Sedgman at the Century zinc operation in Queensland. Mark Creasy-founded Galileo to list on ASX (0) May 28, 2018 Cobalt aspirant Galileo Mining will start trading on the Australian Securities Exchange (ASX) tomorrow after raising $15 million through an initial public offering (IPO). Australian gold output strong despite wet weather (0) May 27, 2018 Australian gold production in Western Australia and Queensland has been interrupted by wet weather in the early months of 2018. Queensland court freezes $200m of Clive Palmer assets (0) May 26, 2018 The Supreme Court of Queensland has frozen more than $200 million of assets owned by Clive Palmer in a win for the liquidator of Queensland Nickel. Fortescue to make $US160m loan repayment (0) May 25, 2018 Fortescue Metals Group will repay another $US160 million ($211.3 million) of its debt next month. Paladin to halt Langer Heinrich, expects uranium rebound in coming years (0) May 25, 2018 Paladin Energy has confirmed that the Langer Heinrich uranium mine (LHM) in Namibia will be placed on care and maintenance. Coal still dominant Australian energy source (0) May 25, 2018 Australia’s coal generation fleet recorded its fourth-highest summer availability for the past decade in 2017-18, according to the Australian Energy Market Operator’s Summer 2017-18 operations review. IMARC offers first look at star-studded speaker line-up (0) May 24, 2018 Organisers of the International Mining and Resources Conference (IMARC) have revealed the first set of confirmed speakers for the 2018 event. The emergence of another battery metal — graphite (0) May 24, 2018 The graphite industry is on an upward trend with increasing prices and rising demand, underpinned by the rapid uptake of lithium-ion batteries, according to Roskill. Queensland Mining Awards shape as biggest yet (0) May 24, 2018 With a record number of entries across all categories as submissions close, the 2018 Queensland Mining Awards are shaping up to be the biggest yet.